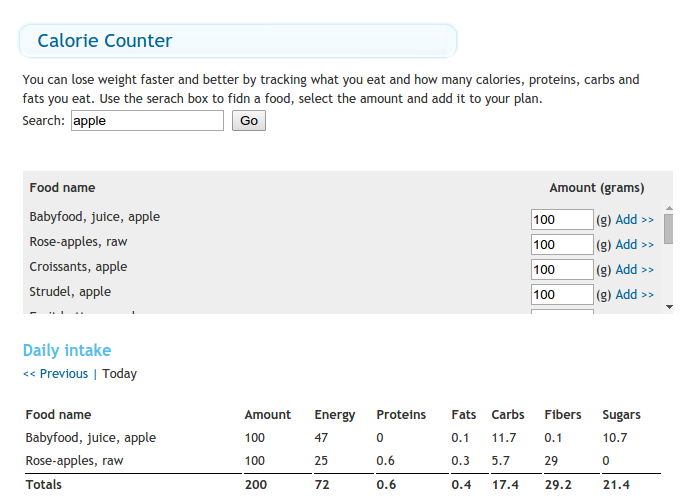 We are glad to announce the newest tool available on our website: Calotor Calorie Counter. Our tool can help you to track what you eat every day. You add the foods you eat and the amount of calories, carbs, fats and proteins are automatically added into the table containing what you ate today. A total is made for all nutrients and you can easily see how many calories, carbs, proteins you ate that day. If you create an account on our website, you can access your saved data. All the data you enter is saved and you can review it later by navigating trough the calendar. This entry was posted in Food, Weight loss. Bookmark the permalink.